To help you make the perfect book for any occasion, Winkflash is here to celebrate your special occasions with you. When you think of “anniversary,” you think of a wedding anniversary. 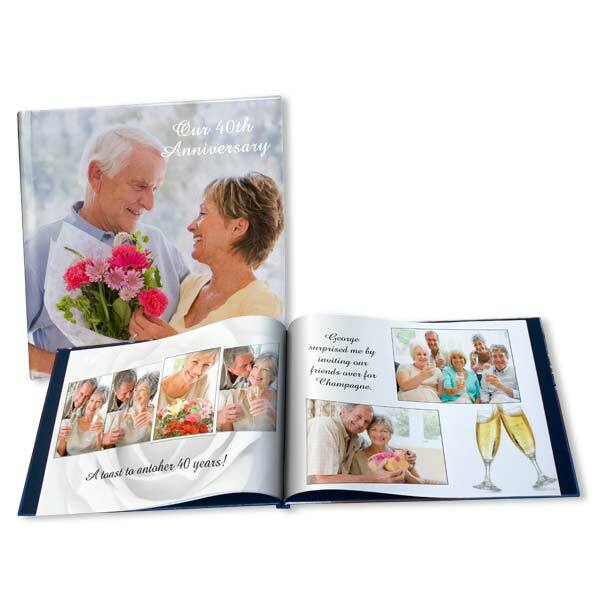 But there are lots of reasons to create your own anniversary photo book: friendship anniversaries, first date anniversaries, engagement anniversaries – even relationship milestones and business anniversaries. Interested in a custom wedding book instead? We offer various templates and backgrounds that are sure to compliment your best wedding day moments! Highlight your best couple moments throughout the year and give a personalized memory book as an Anniversary gift, or just create a book to remember the event itself. An Anniversary is a great event that deserves recognition.